Popular for centuries throughout Spain and Italy, the blood orange, or Citrus sinensis, has recently grown in popularity, not just for its taste and unique appearance, but for its rich nutrient content and potential health benefits. Sicilian farmers began cultivating these oranges hundreds of years ago along the slopes of the Mount Etna volcano. Through a unique ecological combination of the area’s coastal breezes, nutrient-rich volcanic soil and warm sun, the blood orange flourished. There are three varieties of blood oranges found in most blood orange supplements — the tarocco, the sanguinello and the moro. 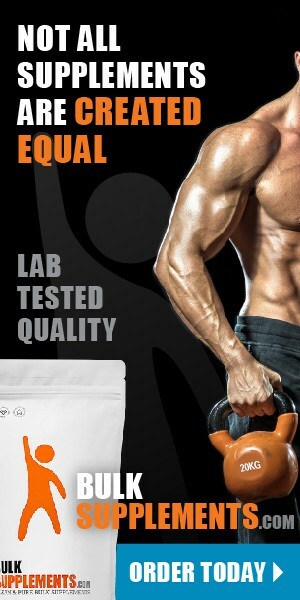 These supplements can be found in either powder or extract form. 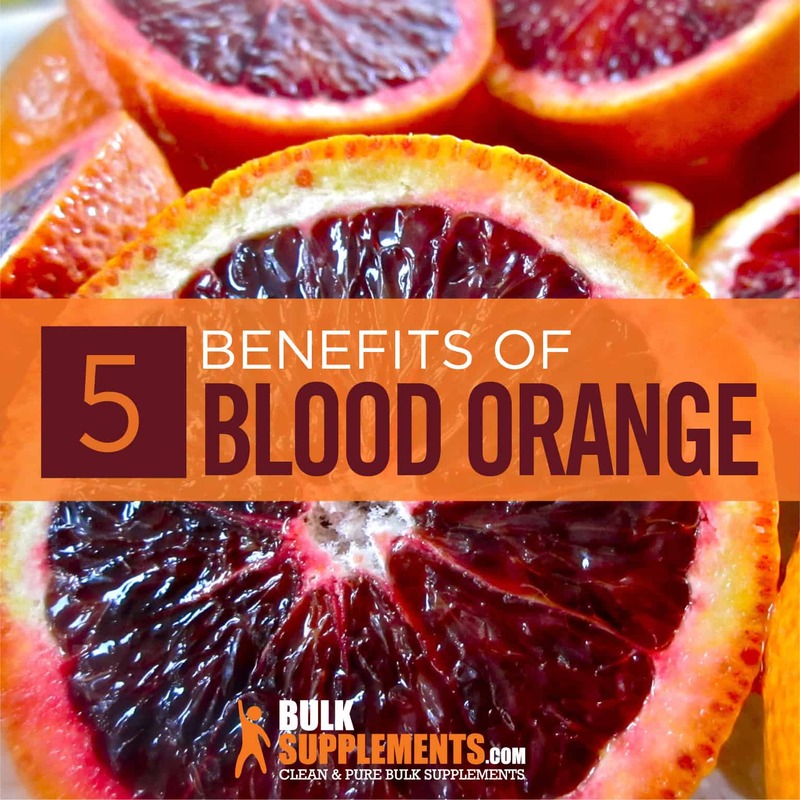 Blood orange supplements offer a wide array of nutritional perks. They serve as a great source of vitamin C and contain other compounds such as natural anti-inflammatories, anthocyanins (powerful antioxidants), beta-carotene, folate and calcium. Vitamin C plays a role in strengthening and boosting the immune system. During sicknesses, infections or even during times of stress, our cells’ storage of vitamin C rapidly depletes (x). Making sure the body gets enough vitamin C is important for the immune system because white blood cells — specifically phagocytes and T cells — use vitamin C to help combat infections. This is one reason why health professionals recommend supplementing with vitamin C when you’re under the weather (x). Vitamin C is also vitally important in another way; it supports energy production. Also known as ascorbic acid or citric acid, vitamin C helps cells produce a molecule called adenosine triphosphate (ATP for short). ATP is what fuels each and every cell in the body and serves as your body’s energy source. Without an adequate supply of vitamin C, the energy-making process slows or stops (x). Even one blood orange provides most of the recommended amount of vitamin C for most people (x). Blood oranges owe their deep red hue to the powerful antioxidant anthocyanin (x). Interestingly, no other citrus fruit contains anthocyanin. Antioxidants generate quite a bit of buzz for their health-promoting properties. But what are antioxidants, and what purpose do they actually serve? Antioxidants neutralize free radicals (x). Within our cells, numerous molecules interact with each other. Some of these molecules, referred to as free radicals (or pro-oxidants) are “unstable” since they prematurely lose a single electron during the metabolic process (x). However, because they still carry an electronic charge, these free radicals can react with and damage other molecules (including our DNA) (x). Additionally, they can form chain reactions wherein the molecules they damage also become free radicals (x). This is where antioxidants come in. All antioxidants contain a single electronic charge which pairs up with the free radicals’ prematurely dropped charge, thereby neutralizing the free radical altogether. Although research continues, many studies suggest anthocyanin may also decrease the risk of developing conditions like diabetes, chronic pulmonary diseases, and cancers (x). While the body relies on acute inflammation to fight infections, heal wounds and repair tissue damage, chronic inflammation is another story. What’s the difference? Acute inflammation occurs when white T cells temporarily produce an influx of chemicals to heal bodily traumas. In the case of chronic inflammation, however, the immune system triggers this reactionary response when there are no foreign invaders at all. Studies link chronic inflammation to many ailments including arthritis, gout, psoriasis, asthma, diabetes and colitis. What’s more, researchers have long supported a direct correlation between chronic inflammatory ailments and many cancers, including benign and malignant tumors. The good news is that the anti-inflammatory compounds found in blood orange and blood orange supplements can help reduce chronic inflammation and its symptoms (x). Also known as vitamin B9, folate is a vital nutrient, especially during pregnancy. Studies show it decreases the risk of birth defects such as facial clefts, congenital heart disease, urinary tract anomalies and even some pediatric cancers. Little wonder, then, that prenatal supplement regimens include folic acid (a form of folate) (x). Blood oranges provide only a modest amount of folate, but blood orange supplements may contain a higher concentration folic acid (x). Vitamin A is a micronutrient that our bodies don’t produce naturally. Because we have to ingest this vitamin through our diet, blood orange supplements are a great way to get your daily dose. Fruits like blood oranges that are yellow, orange or red in color tend to be high in beta-carotene (aka provitamin A) (x). Vitamin A helps maintain healthy skin (epithelial) tissue. It also promotes the daily replenishment of skin cells in order to create a barrier to topical infections (x). Moreover, it may improve vision, support a healthy immune system and aid in healthy growth and development (x). Those who don’t get enough vitamin A may be more susceptible to dry skin, dry eyes and throat and chest infections (x, x). A 2013 study examined the effects that blood orange juice had on mice. The mice that were given a steady dose of juice accumulated less fat, gained less weight and had lower cholesterol levels (x). Of the many varieties that have been crossbred, the tarocco remains the sweetest. Throughout Italy and Spain, tarocco is the preferred fruit for blood orange juice. The moro blood orange has the deepest color red of any varieties available. While the moro may taste the most bitter, it also has notes of raspberry. Blood oranges are harvested during winter. The fruit was once reserved only for royalty and the most privileged members of society. There are references to the blood orange in paintings, mosaics, and even poetry. Most recipes call for sweeter adaptations of the blood orange. One of Sicily’s most popular salads, however, consists of blood orange and fennel bulbs. Blood oranges contain high amounts of potassium, and regular consumption can be problematic for people taking beta-blockers. If consumed without the prior instruction of a health professional, this can cause an excess of potassium in the body (x). Blood oranges are highly acidic, and regular consumption can cause problems for those with acid reflux disease. This can lead to regurgitation or heartburn (x). When used as a flavoring extract, it is best to mix 1 tsp (approximately 3 grams) into a beverage or use as needed for baking, cooking and desserts. Blood orange supplements can be found in powders, capsules and tablets. A popular way to use blood orange supplements is to mix it into green tea. Like any other supplement, it is still important to abide by any advice given by a legitimate medical professional. If you are experiencing health issues prior to taking supplements, be sure to speak with a doctor. Blood orange supplements and extracts may offer many health benefits. They’re rich in vitamin C, which can boost your immune system, and are a good source of folate and beta-carotene. They contain the powerful antioxidant anthocyanin, which helps neutralize free radicals and prevent cellular damage. Blood orange also happens to be a natural anti-inflammatory and may prove especially useful in combatting chronic inflammation. Adding a supplement to your dietary regimen or even just experimenting with fresh blood oranges in the kitchen may be a worthwhile consideration!